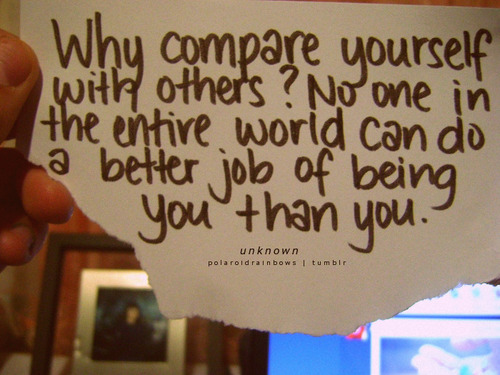 Comparison usually involves a negative appraisal of yourself in relation to others. Stay away from it! 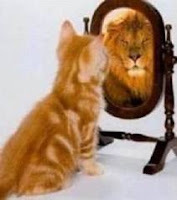 Comparison is hazardous to your self-confidence and performance health. When you compare yourself with other people you set yourself up to feel badly about yourself and fail. Comparison is a losing game because you'll always manage to find someone better than you. You will only succeed in setting yourself up for a very big fall into a pit of low self-esteem. Low self-esteem will only cloud your own belief in yourself, cause you to doubt yourself and lead to a lot of mental and emotional misery. Your mind can be your greatest ally or your worst nightmare. Thoughts of self-doubt, fear, anxiety, or confusion can quickly strip you of energy and send you to the couch instead of taking action on your dreams. There's a benefit to seeing someone much better than you perform and modelling your style or technique after them. Admiring others without comparing is perfectly natural and healthy. This is the only positive way to focus on someone else. When you compare yourself, it takes energy away from focusing on YOUR dreams. Keep your focus on YOU. Measure yourself against yourself. Living a life with a firm belief in yourself, of empowerment, is absolutely the key and goes hand-in-hand with making your dreams the focus of your fulfilling life. What usually stops us from reaching our goals and dreams is ourselves and our minds. 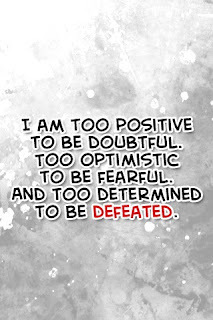 When you believe in yourself, nothing can stop you. 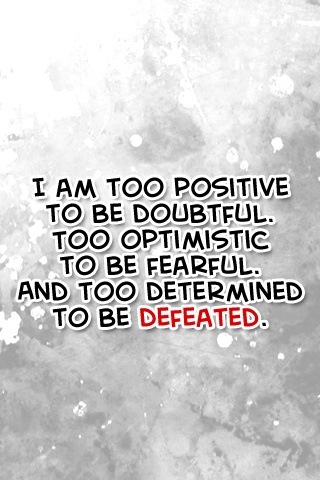 Focus on YOU and keep a positive attitude. Where the mind goes - the body will follow.